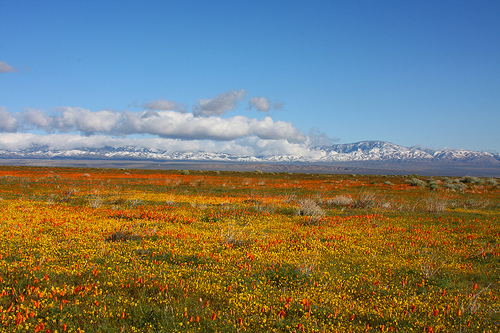 I have a big plan forming of making my way to the Mojave desert in mid-April to see hill after hill of California Poppies in bloom. 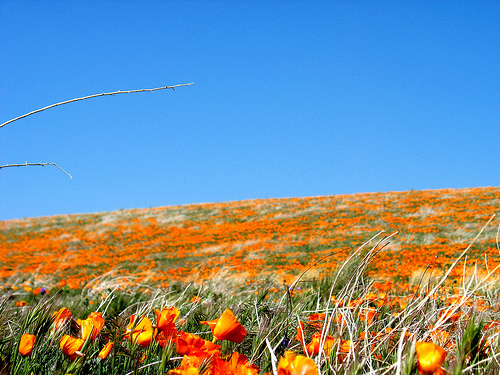 I’ve been stalking flickr sites to look at all of the amazing photos people have taken of this area. 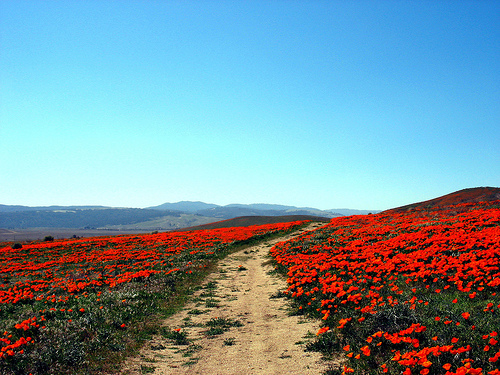 Antelope Valley Preserve has 8 miles of trails that are packed tight with poppies, but also with lupines, coreopsis and owl’s clover, and is home to lizards, rattlesnakes, coyotes, bobcats, scorpions and ….. kangaroo rats. That list of critters should keep people on the trails and away from crushing the plants! 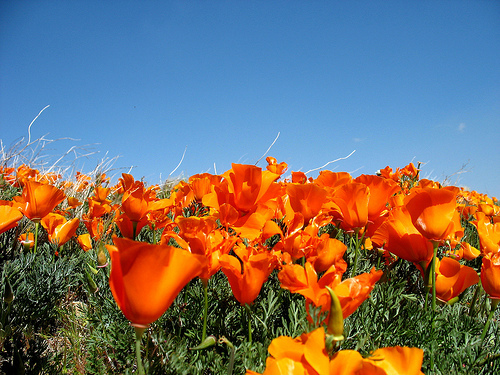 They even have a Poppy Hotline to call to find out about peak bloom times: 661-724-1180. I think I’ll line myself up for a job at the poppy hotline when I retire! 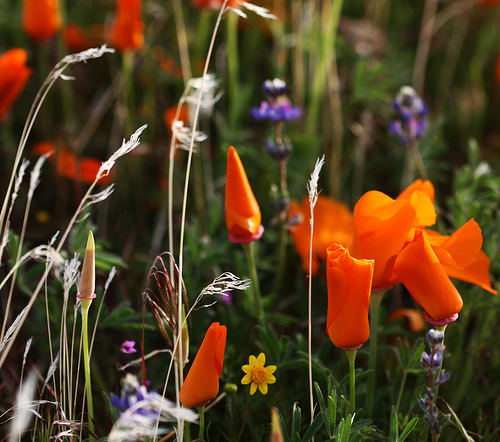 Here’s a beautiful photo set from Rennet Stowe off of flickr.